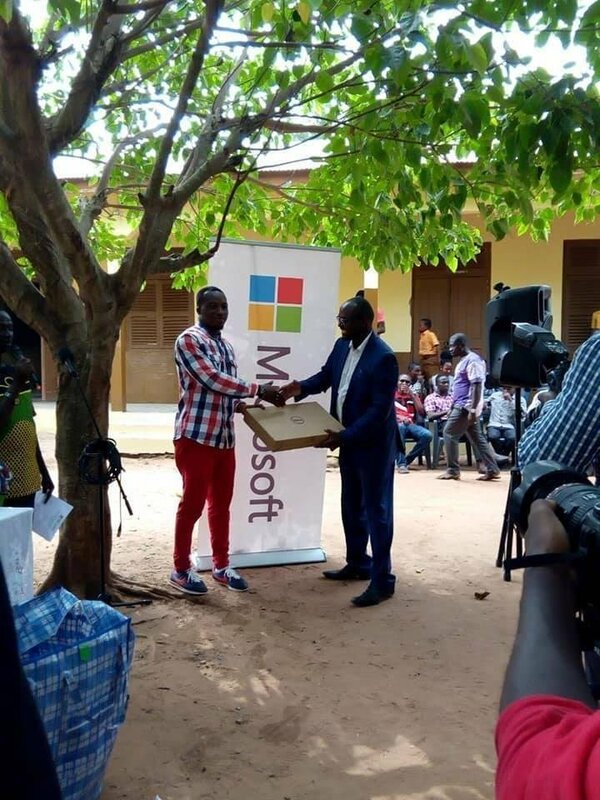 Remember that Ghana’s teacher that drew Microsoft Word on blackboard? 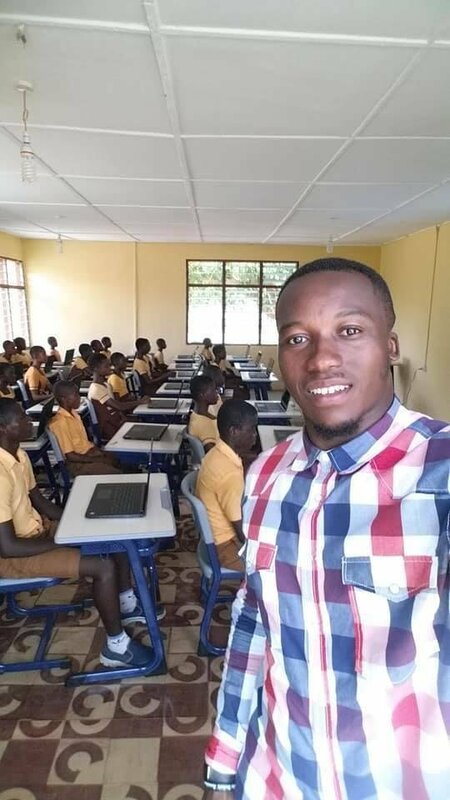 He has a new classroom. 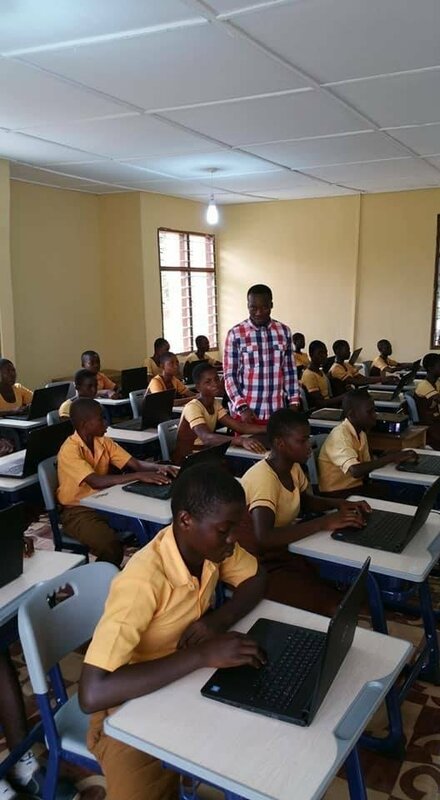 It is hard over there for our teachers in Africa. 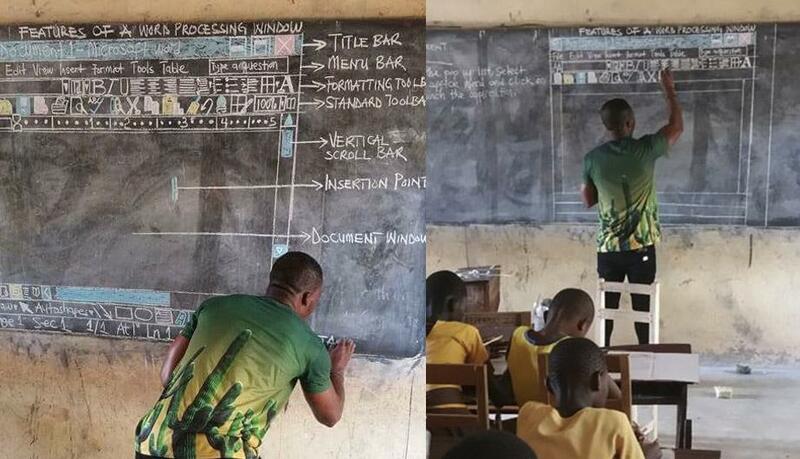 A teacher in Ghanahas to draw a word processing window on blackboard to teach his students. 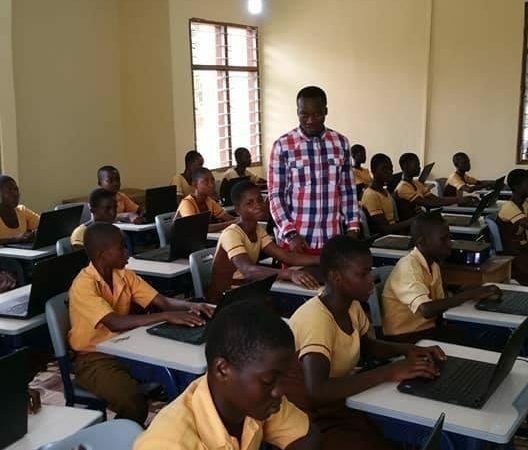 I commend this teacher and I would be happy to send his class a laptop if anyone knows him [Possibly the kids would see how a real Word Processing Window looks]. 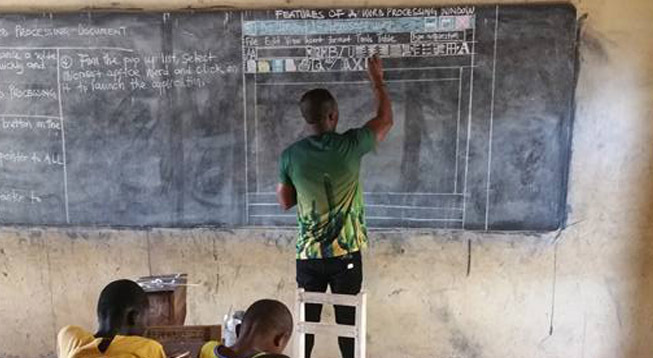 He is genuinely built to teach for investing such an effort for something that may be wiped out after 3 hours since he would need the same board for other things. This was the old classroom. Never doubt what one person can do in the lives of many. A great passion births trail blazing outcome. Keep that going. God bless you.